The Government has revealed that the gap between public and private wages is among the highest in Europe and the value of public sector pensions is at an all-time high. The value of public sector pensions was thrown into the spotlight after independent consultant John Horgan estimated garda pensions are worth up to €40,000 a year on top of their earnings. Now the Department of Public Expenditure and Reform's submission to an independent body set up to advise the Government on its wage strategy also said basic pay should not be dealt with in isolation when it considers its recommendations for a new report. It said it "must be viewed as part of a total employment package" that includes elements that have a "significant" value, such as pensions, job security, and other terms and conditions. The Public Service Pay Commission's first job is to, early next year, draw up a report for the Government on further unwinding the emergency legislation that cut public servants' pay. It will inform talks with unions on a successor to the Lansdowne Road Agreement. The document said diverting extra money to fund public service pay rises would "compromise service delivery" including "necessary" recruitment and investment in infrastructure. The Department is currently working on an actuarial assessment of its occupational pension obligations. The document said this will provide valuable information on the expected cost of those pensions. It also points out that, based on Eurostat 2015 figures, Ireland is ahead of both the Euro area and EU average public sector pay in terms of the percentage of overall government expenditure. 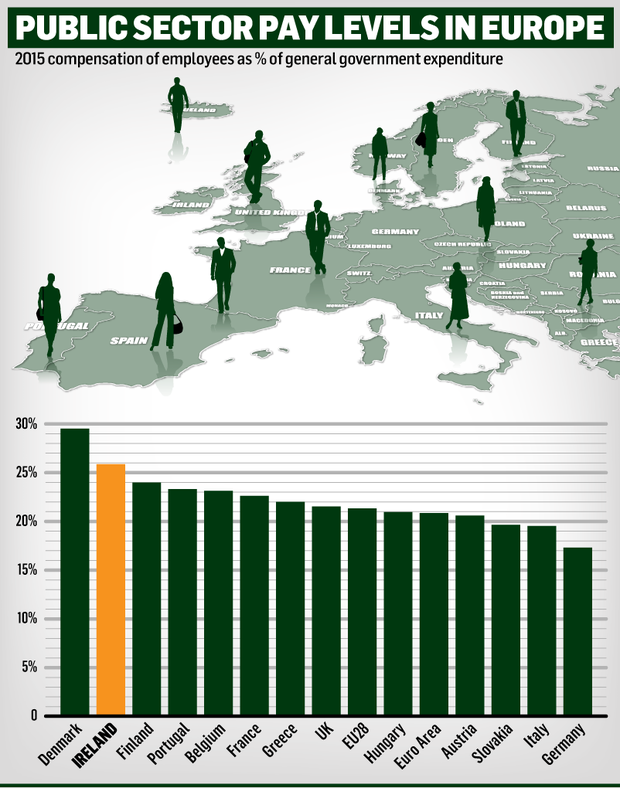 Over 25pc of all government expenditure here is allocated to public sector pay - the second highest in Europe. Pension costs are rising, which has led to a significant number of private sector employers moving to defined contribution schemes. The submission concludes these benefits are likely to have increased the value of pensions beyond a 12pc discount to pay. It also said the gap between public and private wages is among the highest in Europe. Meanwhile, it has emerged the Department of Justice will have to find half of the cost of funding the €50m Garda pay deal that averted a threatened strike. 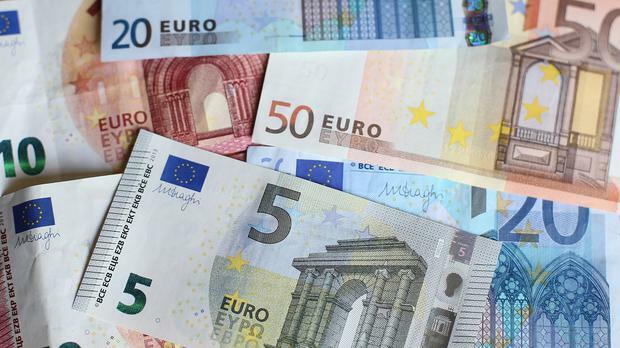 The Government has agreed a "burden-sharing" approach to cover the additional costs, with €25m coming from Justice and the remainder to be found across all other departments. A spokesman said the sum provided by the Justice Department will come through "re-prioritisation and efficiency measures" designed not to impact "crucial services".